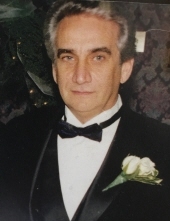 Joseph R. Pastore, 76, of Branchburg, NJ passed away peacefully on Wednesday, March 20, 2019. He was born in Somerville, NJ, and has resided in Raritan for all his life. Joseph was a former member of the US Army before being honorably discharged. Following in his late father’s footsteps, Joseph worked as a Furrier for many years with various companies in NY and NJ before his retirement. Joseph was a Giants and Yankees fan, loved going hunting, fishing, traveling to various casinos, took pride in his vegetable garden, hosting family gatherings, watching cowboy movies and horse-races, but most of all spending quality time with his family, especially his two granddaughters. He is preceded in death by his beloved parents, Carmella and Arthur Pastore; his first wife, Joanne (2017); and his brother Basil (2018). Viewing will be held Sunday, March 24, 2019 from 1-5 pm with a prayer service at 4:30 pm at the Branchburg Funeral Home 910 US Highway 202 South, Branchburg, NJ 08876. In lieu of flowers memorial contributions may be made in his memory to Somerset Hills Learning Institute for Autism 1810 Burn Mills Road Bedminster, NJ 07921. To send flowers or a remembrance gift to the family of Joseph R. Pastore, please visit our Tribute Store. "Email Address" would like to share the life celebration of Joseph R. Pastore. Click on the "link" to go to share a favorite memory or leave a condolence message for the family.